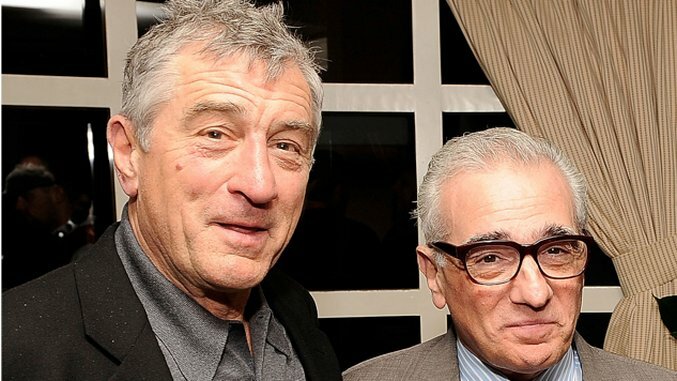 The Irishman, Martin Scorsese’s much-anticipated mob epic starring Robert De Niro and Al Pacino, got the green light way back in mid May, and we’ve been starved for updates on the too-good-to-be-true-seeming project ever since. Now, it seems we may have a big one on our hands, courtesy of the film’s production designer, Dante Ferretti. When asked about The Irishman in a recent interview, Ferretti told Variety, “We’ve talked about it; but we still have to see when and how it will be shot. I never say ‘I’m doing to do this or that’ until it’s signed. Theoretically we’ve talked about shooting this film next year in February or March.” So it’s a hypothetical start date, but a start date nonetheless. This film will constitute Pacino’s first collaboration with Scorsese, a moviemaking match so perfect that it’s a wonder it didn’t happen a long time ago. It will also be De Niro and Scorsese’s first film together since the 1995, Las Vegas-set gangster classic Casino. And speaking of Casino, The Irishman was at one point meant to star mob movie legend Joe Pesci, as well, though Pesci has reportedly passed on the role, which doesn’t sit well with De Niro (nor with us). Screenwriter Steve Zaillian, fresh off the critical success of HBO limited series The Night Of, adapted The Irishman’s script from Charles Brandt’s 2005 non-fiction novel I Heard You Paint Houses…, a historic account of the life of mob hustler and hitman Frank “The Irishman” Sheeran, who claimed to have assassinated former Teamsters union boss Jimmy Hoffa. The book’s title comes from the first words Hoffa ever spoke to Sheeran—to paint a house is to kill a man, using blood as your medium. If Ferretti’s timeline holds true, The Irishman may make it out by awards season of 2018, and if the film is as good as it looks on paper, we have a modern-day crime classic on the way.